It's Soup-er Cold Outside! List: Five To-Go Soups in NYC. It's seventeen degrees outside New York City. That calls for some soup-er soups! And since I know you are all busy little bees during the week, lets take a look at my top five list of on-the-go soups in NYC. All are healthy and vegan. This soup is delicious, spicy and bright tomato red! It's perfectly spicy to warm you up. However, since Counter is a bit stingy on the portion size to cost ratio, they rank at number five. Their 'house' soup is also very gourmet-meets-deliciousness. Counter uses organic ingredients and is a master of using exotic spices and seasonings. 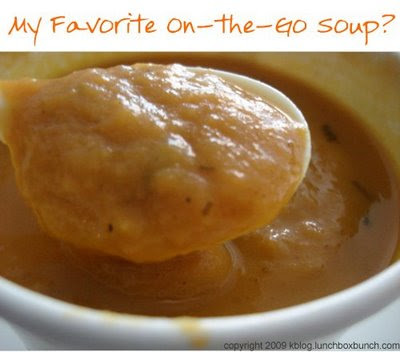 Click READ MORE to see my TOP TWO soup-on-the-go in NY! I adore Caravan of Dreams. Read my Yelp.com review of Caravan of Dreams. So I love the butternut squash, it's texture is creamy yet light. I also love the raw/live/vegan/cold Avocado-CoCo soup. It almost tastes like a smoothie. But trust me-it's delicious! I'm not too fond of the Miso soup, so I suggest getting whatever the soup of the day is. And it comes with a slice of sprouted-grain bread. The delicious photo for this post is indeed Liquiteria's Chipotle Sweet Potato Soup. And it is my number one all-time favorite on-the-go-soup in the city. The texture is thick and hearty, yet never heavy or mushy. They have a wide selection of fresh soups daily. Great price to size ratio. And always healthy. They even have a non-vegetarian Chicken Noodle Soup that my husband soup-gasmed over. 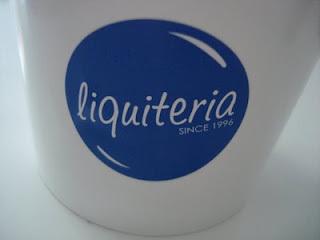 Liquiteria: smoothies when your hot, and soups when you're chilly! It's an a full-service, full-season establishment. And the service is always fast and super friendly. Check out my recipe for a similar soup: Cheer-Worthy Chipotle Sweet Potato Soup. Do you have a favorite on-the-go soup that you want to share. In NYC or even another location...? PS- I would love to see Jamba Juice bring back their Jamba-soups. If they could get them up to Liquiteria-par, they'd have lines out the door in the middle of winter. And I'm just waiting for the Starbucks soup-of-the-day. Soup and coffee....hmmmm. Nay or Yay?